Osteoarthritis is a progressive, non-inflammatory degeneration of joint cartilage with secondary effects on adjacent bone. DJD is the most common form of arthritis, and it usually affects the small joints of the hands, and larger weight-bearing joints in older persons. Of critical note is the discrepancy which is usually found, between the extent DJD shown on x-rays and the patient's actual symptoms. Numerous studies have demonstrated that patients with advanced degenerative joint disease are often without symptoms. Nevertheless, it is exceedingly common for physicians to attribute a patient's pain to findings of DJD on x-rays. Pain, stiffness, crepitus, deformity and swelling, with normal laboratory test results. Chiropractic has long been regarded as the number one treatment for patients suffering from arthritis because it provides not only relief from pain and stiffness, but it also halts progression of the disease. As a specialist in radiology and neuro-musculo-skeletal disorders, Dr. Morrison analyzes radiographic findings and helps patients to understand the results. Chiropractic focuses on aligning the skeletal structure while Applied Kinesiology creates muscular symmetry to maintain results. 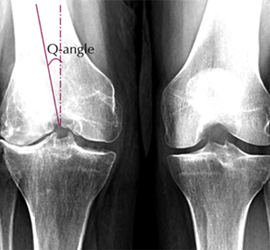 Alignment of joints is an essential component for managing osteoarthritis and once this has been achieved, patients may be encouraged to undergo periodic visits in order maintain joint health.